These and related questions are some of the most common questions people ask me and I thought it’d be good to answer them since it’s the second to last day of the year – a time of reflection and so on. Let me start by answering the first question, the one about whether I ever run out of ideas or get sick of doing what I do. So far I haven’t run out of recipe ideas or gotten bored of all this; in fact, I have a notebook full of recipe ideas and every day I think of more. It’s kind of intense. I also have all your requests to fulfil! So the Well of Pow is always brimming. This ties up to the question about whether I’m obsessed with food and the answer to that is, well… define obsessed, hehe. No, seriously, I think that some people think I might be ‘obsessed’ but to be honest I think a more appropriate word would be passionate – it has more positive connotations as one could more easily tie it to dedication and that I certainly am! I also reckon you could say passion is more readily tied to ‘love’ (whereas obsession + love is kind of a scary combination, hehe). It’s kind of cheesy to say I feel passionate love towards food but… hey, it is what it is. This brings me to the question of whether I eat anything else besides protein and to the question of “how much protein do you eat? !” At the core of these two question I think sits another slightly more critical question. It goes something like: “Is your adherence to a high-protein diet unbalanced against other micronutrients?” These are all great questions because they deal with something I don’t often get a chance to talk about (but actually maybe I should): my diet approach and why I cook – and eat – like I do. I want to begin by saying that I’m not a certified nutritionist. While it’s true that I have a Doctorate, this isn’t in medical or nutritional sciences. I don’t have a professional background in dietetics either. What I do have are years and years of reading about nutrition – and I don’t mean sensationalist pseudo-nonfiction texts or washed-down features in magazines or newspapers. What I’ve been reading is the dirty stuff – scientific papers. I’ve been studying them since I started my undergraduate degree (in Psych) and I absolutely love discussing – and debating – human nutrition. I actually did an internship at the University of Chicago’s Eating Disorders Unit once when I was considering doing a PhD in human nutrition. I didn’t end up pursuing that route but it’s always been something that has interested me and something that I keep reading about – not eating disorders specifically, just human nutrition in general, particularly in the context of health and fitness. And if there’s one thing I’ve learnt it’s that human nutrition isn’t black and white like so many people believe it is. It’s full of grey zones, blind spots, and ambiguities. There is a vast ocean of unknowns and subjectivities.What is good for one person may not be so for another. To continue with the ocean analogy, there are tides and currents of other factors that play a crucial role in finding out what dietary approach works for YOU. Things like stress, medical history, hormones, individual intolerances and sensitivities, and inflammation. All these things play a crucial role in finding out which dietary approach is good for you. ‘Nutritionists’ who sell nutritional guidelines without taking into consideration their clients’ individual circumstance and medical background – either because they don’t think it’s relevant or, worse still, because they don’t have the knowledge to even begin to understand why it’d be relevant – piss me off. These people are bozos who very often hand out generic guidelines that end up messing people up. They lack scientific training and legitimate certification and their claim to fame is usually a limited ‘catalogue of before and afters.’ Don’t buy into their individual brand of well-polished BS. They might make you lose weight for a little while but their approach is often not sustainable and all you’re left with at the end is an emptier wallet and a feeling of confusion coupled with WTF was THAT. You want someone who will enhance your understanding of nutrition, empower you to do your own learning, and consider your individual history when handing out a plan for you to follow – a plan that you are able to gladly maintain for life. Anyone can give you a diet but not everyone can arm you with the tools you need to lead a sustainable healthier lifestyle. Jill talked about how ‘the best diet is the one that never ends’ check out her post. I think it’s spot on. 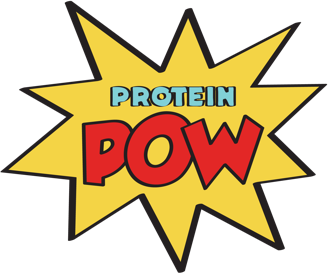 That’s why I have just created THIS thread on the Protein Pow Forum – a thread dedicated to sharing the details of nutritionists who you’ve found out actually do a good job (and calling out the bozos who people should stay away from). I’ve added a couple of names of people who I think do a smashing job; feel free to add more. Hopefully this is useful. Nutritionist Bozos are actually part of the reason why I don’t feel comfortable telling you how to partition your macronutrients – i.e. how much protein, carbs, and fat to eat – or what you should and shouldn’t eat. I mean, sure, I’m pretty open about telling you guys to stay away from the abomination that is margarine, from table sugar, from hydrogenated fats, from aspartame, from most soy products, from preservatives, from fillers, from unnecessary food additives and from relate pseudo-foods. But that’s pretty solid, well-backed, and largely incontestable advice. I’m not here to tell you what YOUR nutritional approach should be because that should be dependent on your personal situation, what kind of training you do, your goals, and what makes YOUR individual body feel and perform its best. You have to work with someone to determine this – someone who takes your context into consideration, not someone that gives you a cookie-cutter program and tells everyone to do the exact same thing. But OK, some people wanted to know about my own diet me so I’ll answer: Around 35% of my calories come from protein and I never lower my fats below 35%. My range of kcals ranges between 1800-2400. Why? Because I’ve found out that that’s what makes ME feel my best. The rest of my calories come from nutrition-dense carbs: fruit, veg, potatoes, dairy, gluten-free grains, and probably a bit TOO much chocolate, hehe. That’s just me though. That’s how I choose to eat. Obviously you have your own goals and nutritional demands and should pursue them accordingly. The only thing I would say is to do what makes YOU perform well, be happy, and feel GREAT. My recipes here at Protein Pow are designed to fit into any dietary approach. Whether you’re following a high-carb, low-carb, high-fiber, gluten-free, or vegan diet. They’re here for you to grab them, play with them, enjoy them, and get the most out of your healthy foods. They’re designed to be easily incorporated into whatever dietary structure you’ve worked out works best for you. With all that bla bla bla in mind, I’d like to give you my last protein bar recipe of 2013. I made these bars to cater to my obsession passion for chocolate and because, when it comes to protein bars, NOTHING can come close to the ones you can make at home. That’s because when you make them you can pack them up with fresh natural foods, and you can tweak them to cater whatever it is that you’re after though – use casein instead of pea if you’d like a good pre-bed bar. Add nuts if you’d like to have a higher-fat, higher-fiber, snack bar. Add some oat flour if you want a higher carb bar. Whatever you do, make them YOUR bars – and enjoy them. Because there’s nothing like a homemade protein bar! 1. Mix the above ingredients until you get a dough you can shape with your hands. 2. Divide this dough into four bars. 3. Melt your chocolate in a bain marie. 4. Dip the bars into the melted chocolate (or pour it on top). 5. Leave the bars to set in the fridge for an hour or so.